What are floating treatment wetlands? 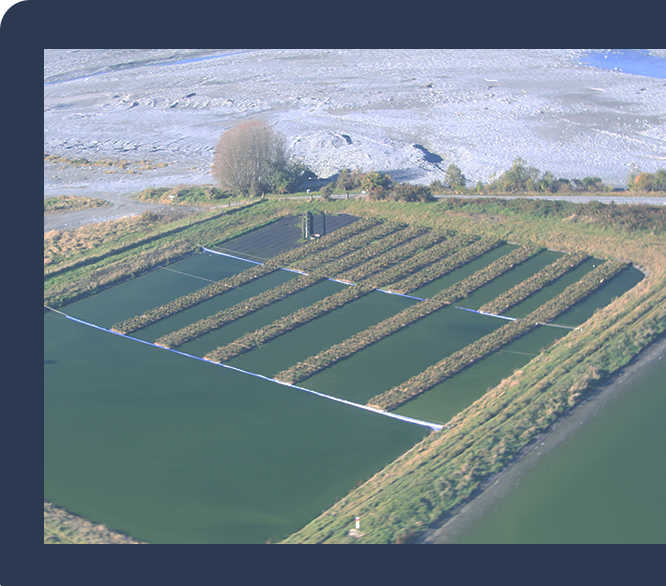 Floating treatment media, or floating treatment wetlands, provide a vast surface area within the plant root zone. Within this root zone pollutant-digesting microbes and bacteria bio-remediate wastewater that is laden with nutrients, heavy metals and suspended solids. Waterclean’s floating treatment media encapsulates the three critical elements for biological wastewater treatment. Floating treatment wetlands are cost effective and will extend the productive life of your municipal wastewater treatment plant. 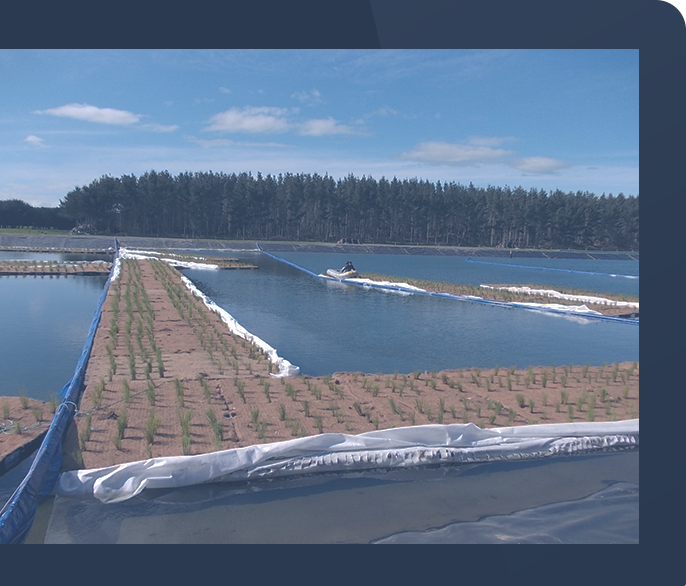 Floating treatment media modules provide a base for plants to grow. The media is open and porous in structure, which enables the plants’ roots to spread and create a vast activated surface area. This is where the microbes and bacteria live — they adhere to the roots and the microscopic root hairs of the plants and within the fibrous media. The microbes and bacteria secrete sticky extracellular proteins forming biofilms. Here they trap and settle total suspended solids (TSS) as well as digest the organic matter/nutrients, including biochemical oxygen demand (BOD), nitrogen and phosphorous. The plant growth above the surface is purely aesthetic — it’s the surface area of the roots beneath that provides the treatment. The larger the underwater surface area, the cleaner the effluent. The surface area is called the bio-mediation quotient (BMQ). 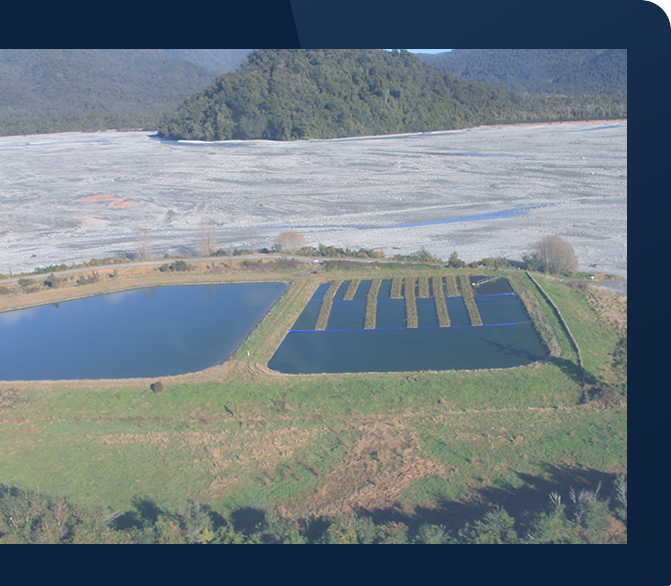 Our floating treatment media and root structure combination has a BMQ in excess of 10,000m2 per 1m3 of FTM. Why are plants so effective? Why are plant roots so effective for housing pollutant-eating microbes and bacteria? Surely it’s all about surface area? A sheet of plastic can grow biofilm. Would it not be just as effective? Well, no. You see, it’s all about the symbiotic relationship between the plants’ roots and the microbes and bacteria. It works like this: Plant roots secrete sugar and oxygen for the bacteria and microbes to feed on. The bacteria and microbes appreciate this, and in return, give the plant valuable goodness, like nitrogen, phosphorous and ammonia. Biofilm will grow on plastic. However, the inside layer of the biofilm will receive no oxygen, which will cause it to die and fall off. Floating treatment wetlands are made from 100% recycled polyethylene terephthalate, commonly known as PET and used in plastic drink bottles. The recycled plastic is made into a non-woven, non-toxic, durable matrix of fibres. Dense and porous, it is extremely inert and has been coated in a UV-resistant resin to US Environmental Protection Agency irradiation accelerated degradation standards. What plants do we use? The plant species suitable for floating media are selected according to the reserve buoyancy required for the application. Generally, terrestrial species, such as wetland sedges, rushes and grasses, are the best option as they develop superior root structures within the water to provide for an increased surface area. However, many other planting types are also used. The recommended planting density is three to five plants per square metre.